10 Best Places To Explore Japanese Cultures: from within the grounds of the country’s ancient shrines and temples; in the trendy streets of Harajuku; at a friendly izakaya; or at a lively festival. Also from contemporary art to ruins, relics and the surviving structures of ancient capitals. Japan has over a thousand years of history and culture on display. The area known as Naramachi was once the Nara’s old merchant district. Many of the former merchant residences here have been transformed into museums, trendy boutiques, quirky cafes, and shops specializing in Japanese sweets. Several of the warehouses are also open to the public. Along with temples such as Gangoji and other cultural attractions, the blend of traditional and contemporary faces makes Naramachi an inviting place to explore. 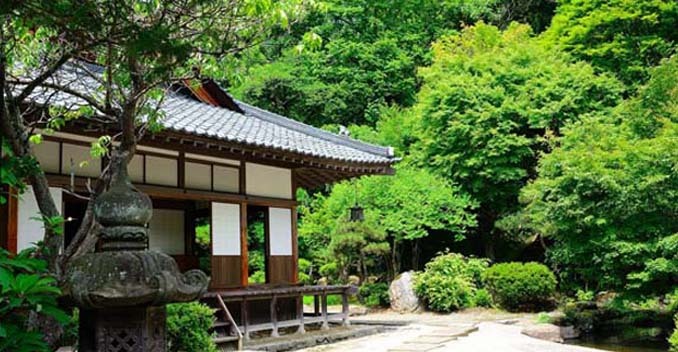 Step into History and the Home of a High-Ranking Samurai. See what life was like for the Chief Retainer of Aizu during the Edo era, in this carefully reconstructed samurai mansion. 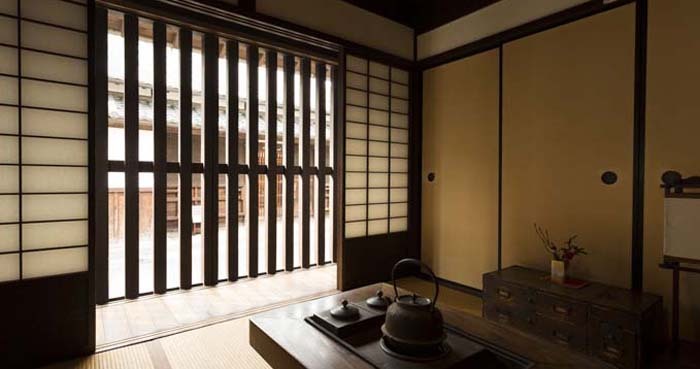 This sprawling complex of rooms and residences for the samurai’s family, his servants and guests, is one of the most complete collection of buildings of its kind to exist anywhere in Japan. A three-star Michelin traditional garden where nobles loved to stroll. 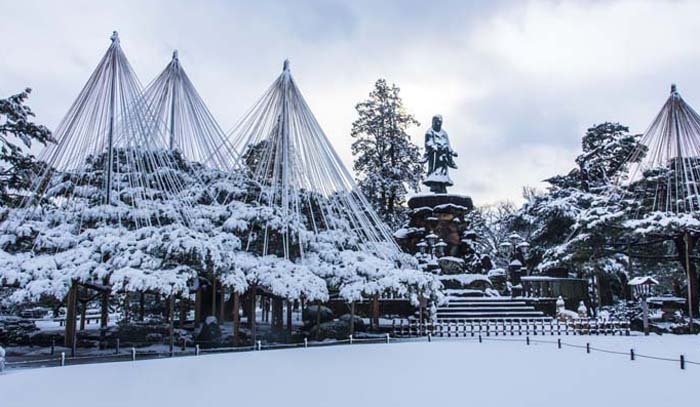 The garden at Korakuen, long considered one of the top three gardens in Japan, has been awarded three stars by the Michelin Green Guide Japan and is a designated Historical and Cultural Heritage site. Living up to its revered reputation, the park is wonderful to spend time in all year-round. 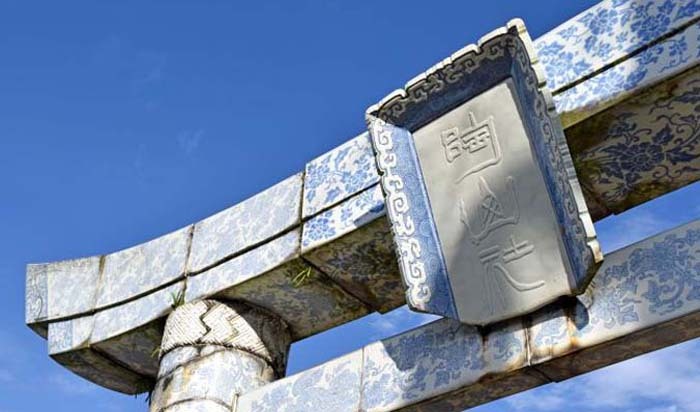 A visit here will bring you a little closer to the era in which noble lords strolled through sculptured gardens with traditional teahouses and past ponds filled with Japanese carp. Kenrokuen garden is one of the three most famous Japanese gardens. The focal point of Kanazawa and has a long and celebrated history. 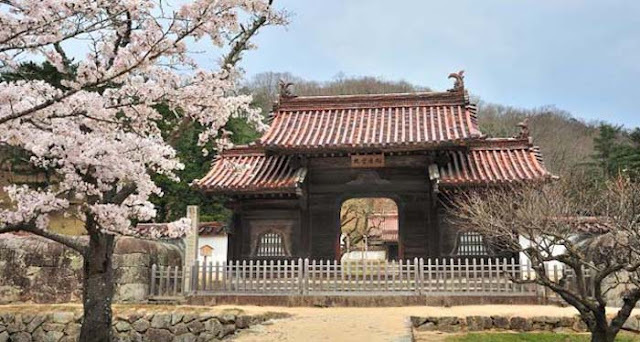 It was created over the span of several hundred years by the Maeda family. Today is one of the best examples of a strolling-style Japanese landscape garden. The garden offers something to enjoy whatever the season. “Kenrokuen” means “garden that combines six characteristics“. These six characteristics are spaciousness, seclusion, artifice, antiquity, water-courses and panoramas. Not every garden in Japan can combine all of these features but Kenrokuen nails each one. The Nagahama Fish Market is Fukuoka’s largest commercial fish market, and is packed with fishermen selling the best catch of the day to local traders and restauranteurs. However, once a month the market opens its doors to the public, offering a rare glimpse inside this excellent local fish market. Streetscapes dotted with ceramic work in two of Asia’s greatest porcelain towns. If you are in Kyushu and have an interest in traditional Japanese artistry, especially pottery, Arita and Imari are essential stops for you. The two pottery towns are quaint, quiet and filled with narrow alleys, old buildings, and protruding chimneys from the pottery kilns. Discover the beating heart of traditional Japan in Gion and Higashiyama. While Higashiyama specifically refers to the hills that run along Kyoto’s eastern edge, this is a large area that spans a number of UNESCO World Heritage temples and the most pristine of Kyoto’s old townscapes. The area is also home to several of the city’s kagai, or geisha districts. 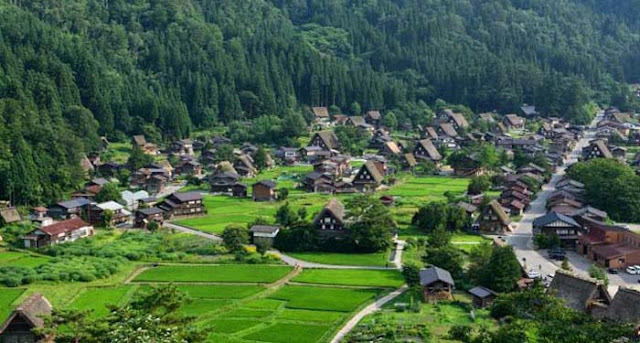 Japan’s most famous thatched village, and a convenient base for alpine adventure. Takayama and the surrounding area boasts traditional architecture, colorful festivals, and a range of the best mountains and onsen in Japan. Widely considered to be Gifu’s crown jewel. The mountain-ringed city of Takayama is a fantastic destination in itself. But also an excellent base from which to explore the Japan Alps and the surrounding Hida area. Signature pottery, fresh oysters, free cycling, and islands to explore. Bizen is a city in Okayama famed for its distinctive pottery of the same name, produced in diverse forms and prized all over the world. In the area is a whole archipelago to explore. A long cycling course along an old railway line. A seafood market in nearby Hinase that’s particularly known for serving up delectable fresh oysters. Bizen is also home to Japan’s oldest public school, now transformed into a garden, and an island nature reserve where camping is allowed. Gold mines, offbeat events, theater and spirited taiko drumming on a former island of exile. Two hours from the nearest city by boat from Niigata’s coast. Sado Island was once remote enough to serve as a dumping ground for politicians and intellectuals out of favor with the government. These days Sado is a great little island retreat best known for its association with the dynamic drumming group Kodo and the Earth Celebration. A yearly event focusing on drumming, humanity, nature and Japanese culture. Sado’s onsen represent another attraction, as is the award-winning sake produced from its rice. So, cycling, camping and water sports are big draws, and you can even pan for gold here.